Buell r 25th anniverssery edition, first owner, never dropped, never raced, black and blue two tone, well maintained, jardine RT5 aftermarket exhaust, comes with riding gear, no test pilots. 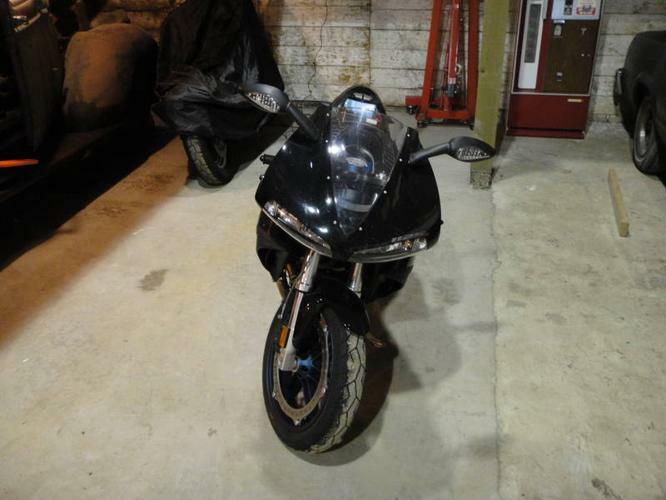 Good condition Buell 1125R. Very fast. Used consistently...brakes and tires are at 80%. Fresh oil change.